Okay, it’s been awhile since I’ve posted on Amazon’s Daily FREE paid app from Amazon’s Appstore for Android. 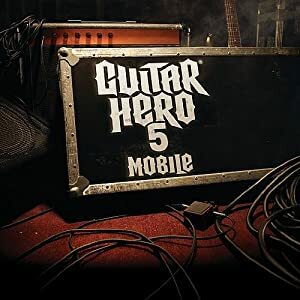 Anyway, we’ve got a good one for today, it’s “Guitar Hero 5” by Glu Mobile Inc. for FREE today only and save $7.99! Crank up the amps and step into the spotlight with Guitar Hero 5 on your Android device. Command the stage and rock out with up to 20 of the hottest jaw-dropping tracks from iconic rock bands. Drive the crowd into a frenzy on lead guitar, bass guitar, and drums. Guitar Hero 5 features songs from Blink 182, No Doubt, Nirvana, Vampire Weekend, Sublime, Bush, David Bowie, and other popular bands. From the popular Guitar Hero franchise comes one of the most epic, full-featured rock ‘n’ roll band games available for your mobile phone. Unleash your inner rock legend with Guitar Hero 5 and upgrade to the full version to unlock even more rock.